"Hey Dad, Take Some Cod Liver Oil!" So, a couple of months ago I was group texting with my mom and dad, (we do group family texts all the time talking about silly stuff!) and my dad was talking about how congested he was and feeling all sick on his break from work. 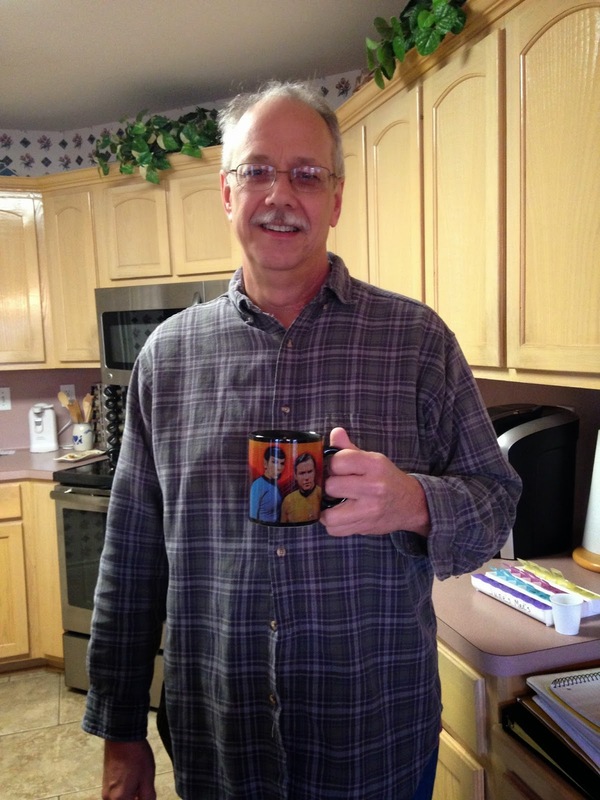 So of course, being the helpful person I try to be haha… I say, “DAD! 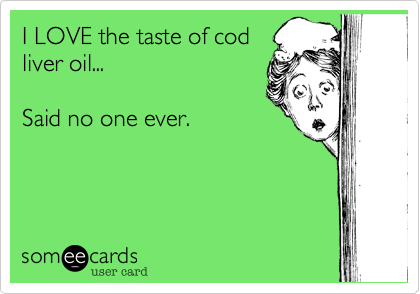 You should be taking cod liver oil! It’s great for immunity! And maybe try some hot water with honey and apple cider vinegar!” And his response was, “You sound like my grandma! She made us drink weird concoctions that tasted like motor oil (or something) when we were sick!” So then I started thinking, I know this stuff is good for you, and I’ve read a little before but I wanted to know more to support my points haha and NOT look and sound like his crazy grandma! It is also rich in vitamin A and D, which are both difficult to acquire in our normal daily diets. Cod liver oil has the most vitamin A and D when compared to any other common food. So what is this stuff actually good for? In addition, it can help with muscle pain and bone density. Those awesome omega 3s are key to rebuilding bone density and retaining the bone density that you have. The vitamin D helps your body absorb calcium and magnesium, which are both key in retaining that bone density. Cod liver oil is thought to help relieve joint stiffness associated with arthritis, have a positive effect on cardiovascular health, and help repair wounded teeth, nails, hair, and skin. It can even improve heart function, even when damage has been done from a heart attack etc. Cod liver oil changes the lining of the arteries to improve healing. These points make sense because of how it helps with inflammation. This won’t apply to everyone, but this stuff is great to take prior to conception and pregnancy! Cod Liver Oil is helpful for both the hubbie and wife to take, with different benefits for both! Like I mentioned earlier, it regulates hormones which is essential for having a regular cycle, and also prepares the uterus to receive the fertilized egg. During pregnancy, having though omega 3s in your diet provides enough for your growing baby. If you don’t have enough, the baby will take from your body and leave you with a depletion. According to one of the websites listed below, “essential fatty acids are important to your baby’s brain, eye, and heart development. DHA is necessary in high concentrations for proper brain function, including proper development and cognitive function. Low levels of DHA are linked to premature birth, low birth weight and hyperactivity in children. DHA is an important component for a healthy central nervous system. EPA is necessary to grow a healthy circulatory system.” The benefits continue as your baby grows, obtaining necessary Omega 3s through your breastmilk. So, the more I read about this stuff, the more impressed I am. And it’s so easy to get this supplement in your every day diet! I order my soft gel caps from Amazon and do a subscribe and save, which saves me a few bucks! They don’t make me sick or taste bad at all! Before I got pregnant, this was the brand that my cousin’s wife turned me on to. It took me a little while to get used to it, but then I actually started to like it! Of course, once I got pregnant again, this option went out the window because it was not going down or staying down hah! But just in case you are invested, it’s good stuff! I would definitely recommend the one with lemon flavor! 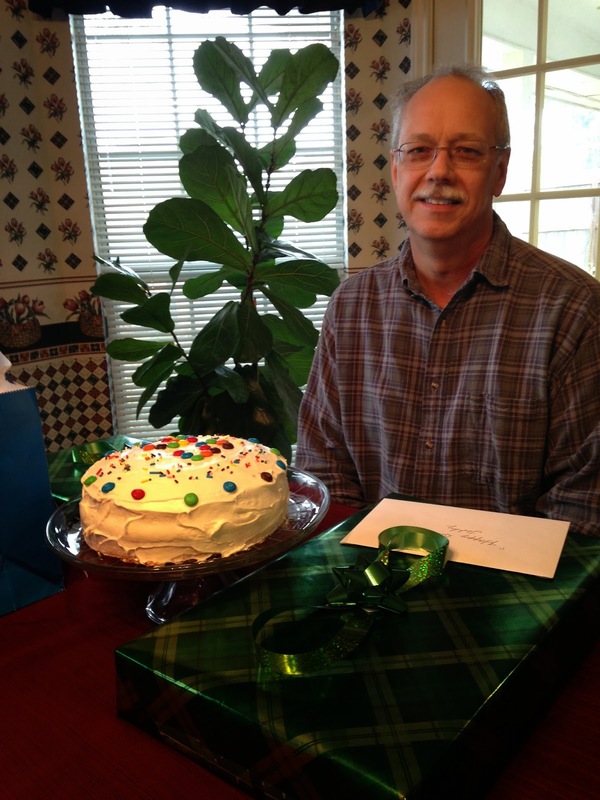 And in honor of my Daddio… Happy Birthday!! He is a New Year’s Baby and turned 56 this year!! Hope you enjoy, and that it is all accurate hah! I’m sure my nutritionist cousin, Ashley, would let me know if not! ;0) And if anyone has more to add, feel free to comment! 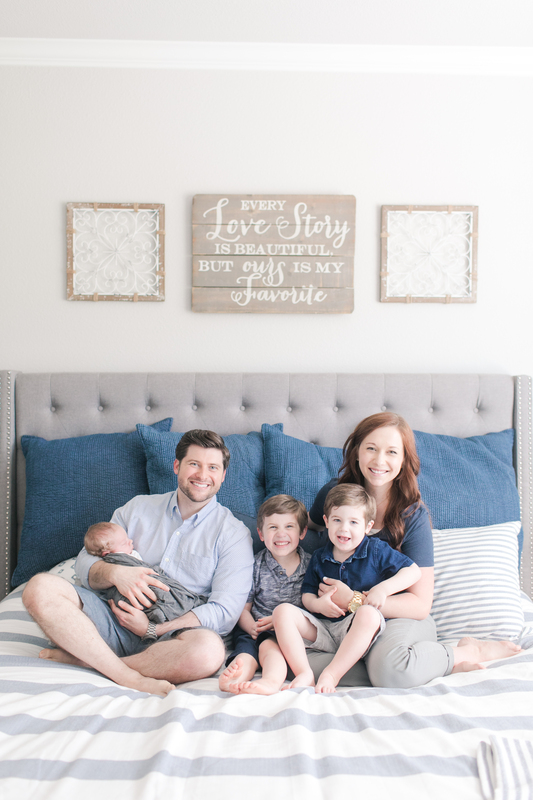 Next Baby J2 is a … BOY!